Last week, White said that GSP would likely face the winner of Woodley – Maia, and that the promotion was no longer looking at having the Canadian star fight Bisping. But, Saturday’s fight between Woodley and Maia received repeated boos from the Anaheim crowd, since it featured few memorable exchanges. “Listen, when you break a record for the least number of punches thrown in a five-round fight, when you beat it and it was like 130 and these guys threw 60 or something like that, that sums it up,” White said, while referring to Woodley – Maia. 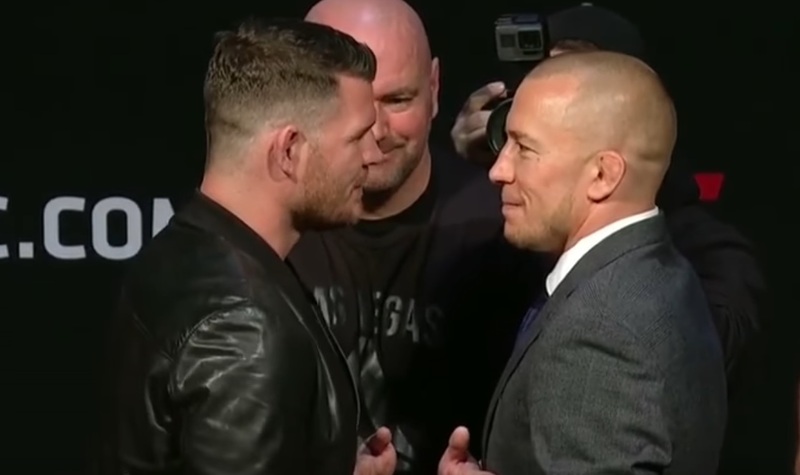 According to MMA Fighting’s Ariel Helwani, sources have told him that Bisping – GSP is being targeted for November 4th, at Madison Square Garden in New York City.